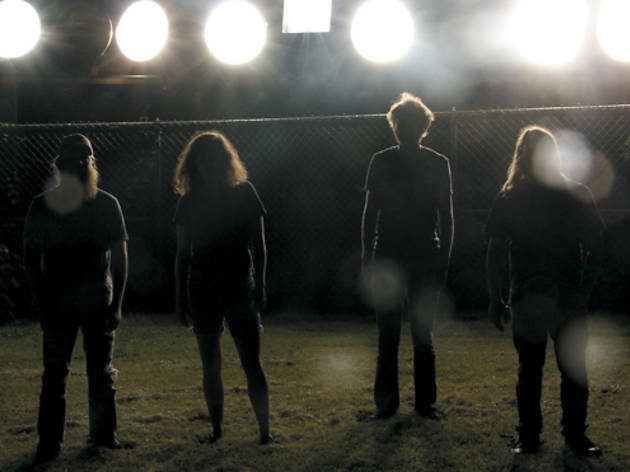 Implodes guitarist Ken Camden guides us through the local drone scene. Chicago’s drone music landscape has evolved over the past decade. During the late ’90s and early ’00s, genre standbys such as TV Pow and Kevin Drumm were preoccupied with laptop music technology. Simultaneously, there was an active electro-acoustic improvisation scene where Jim O’Rourke and other artists combined those new technologies with a classical avant-garde approach (e.g. prepared guitar). More recently there’s been a resurgence of analog synth artists searching for new perspectives using older equipment, but no matter what the technology, there always seems to be a devoted audience, as well as venues willing to support these endeavors, all of which make Chicago a creative hub for such artists. The Burlington’s new monthly, Divergent Interest, curated by Kriss Stress and Jason Shanley, is a good starting point because it functions as a generational bridge of sorts. The series features an ongoing residency by longtime guitar drone-smith Scott Cortez (of lovesliescrushing). His early ’90s solo recording, Veils, is an eloquent example of solo ambient guitar, drifting off into the cosmos slowly and pleasantly. Cortez is joined here by a rotating cast of shoegaze and drone artists. One of the aforementioned analog synth operators is Brett Naucke, who performs at Divergent Interest Tuesday 9. He’s been participating in the local experimental scene for several years and recently released his vinyl debut, The Visitor (Nihilist Records), which moves from dark to light with ease and skillfully balances bubbly textures with spookier, more cinematic ones. Brett is also the guy behind the Catholic Tapes label, influencing fellow soundscapists with cassette releases by Jeremiah Fisher, Streetwalker and Mike Vallera (just to name a few). Brett also co-curates the Empty Bottle’s Annual Synthesizer Chili Cook-Off with Beau Wanzer and it is without a doubt my favorite event of the year (for obvious reasons). The founder of Nihilist Records, Andy Ortmann is another curator who’s spent much of his time and energy releasing works by Chicago artists whose musical themes tend toward the darker or more aggressive side of drone such as Kevin Drumm, John Wiese and Oakeater. Andy has also been a synth practitioner for years now and has collaborated with many other musicians like Ben Vida and Joseph Raglani in addition to leading the long-running experimental outfit Panicsville. My personal favorite is Ortmann’s 2008 solo LP, Provocative Electronics, which perfectly captures the vibe of mid-1900s electronic excursions. Programmed by Benjamin Mjolsness, the Whistler’s monthly Glad Cloud series is another showcase that continues to promote ambient and experimental tendencies in a listener-friendly environment. Hometown musicians Fred Lonberg-Holm, Nick Broste, Tyson Torstensen, Dan Mohr and Implodes’ own Matt Jencik are among those who have helped carve out yet another small droney corner for you to crawl into once a month. 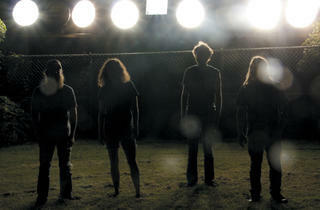 Implodes celebrates a new album, Recurring Dream, Monday 8 at the Empty Bottle and April 12 at Saki.